Post-doctoral Research Fellow at the Biomedical Research Foundation, Academy of Athens (BRFAA), Athens, Greece. Post-doctoral Research Fellow at the Department of Biochemistry and Molecular Biology, National and Kapodistrian University of Athens, Athens, Greece. Georgakilas, A.G., Pavlopoulou, A., Louka, M., Nikitaki, Z., Vorgias, C.E., Bagos, P.G. and Michalopoulos, I. (2015) Emerging molecular networks common in ionizing radiation, immune and inflammatory responses by employing bioinformatics approaches. Cancer Lett. Pavlopoulou, A., Spandidos, D.A., Michalopoulos, I. (2015) Human cancer databases (review). Oncol Rep. 33: 3-18. Pavlopoulou, A. and Scorilas, A. (2014) A comprehensive phylogenetic and structural analysis of the carcinoembryonic antigen (CEA) gene family. Genome Biol Evol 6: 1314-1326. Vlachakis, D., Pavlopoulou, A., Roubelakis, M.G., Feidakis, C., Anagnou, N.P. and Kossida, S. (2013) 3D molecular modeling and evolutionary study of the Trypanosoma brucei DNA Topoisomerase IB, as a new emerging pharmacological target. Genomics. Vlachakis, D., Tsiliki, G., Pavlopoulou, A., Roubelakis, M.G., Champeris Tsaniras, S. and Kossida, S. (2013) Antiviral Stratagems against HIV-1 using RNA interference (RNAi) technology. Evol Bioinform 9: 203-213. Vlachakis, D., Pavlopoulou, A., Tsiliki, G., Stathopoulos, C., Balatsos, N.A.A. and Kossida, S. (2012) An intergraded in silico approach to design specific inhibitors targeting human poly(A)-specific ribonuclease. PLoS ONE 7: e51113. Pavlopoulou, A. and Michalopoulos, I. 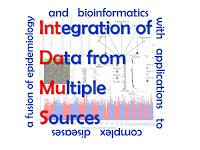 (2011) State-of-the-art bioinformatics protein structure prediction tools (Review). Int J Mol Med 28: 295-310. Pavlopoulou, A., Pampalakis, G., Michalopoulos, I. and Sotiropoulou, G. (2010) Evolutionary History of Tissue Kallikreins. PLoS ONE 5: e13781.